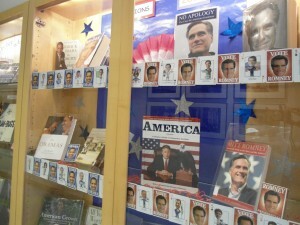 Home > Blog > Displays > Get to Know the Candidates Through Their Books! Election 2012 is fast approaching. Get involved and read up on what the candidates stand for. Are you informed about the the choices on the ballot? Keep yourself informed on the candidates’ positions, the ballot initiatives and the current state of affairs in this crucial time leading up to the election.